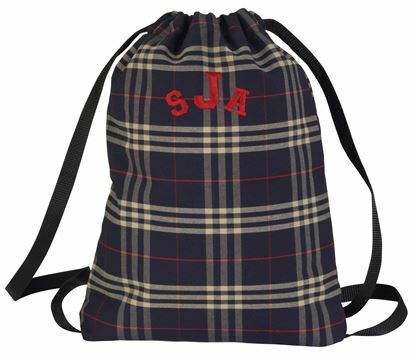 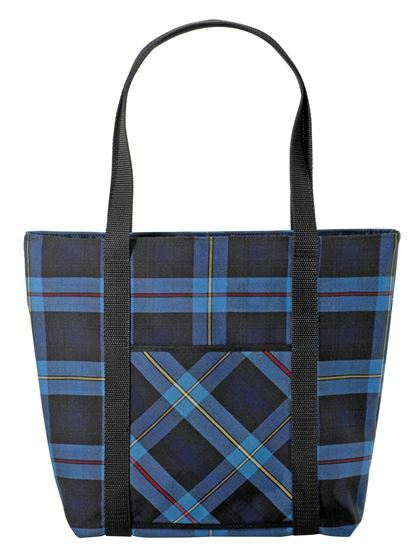 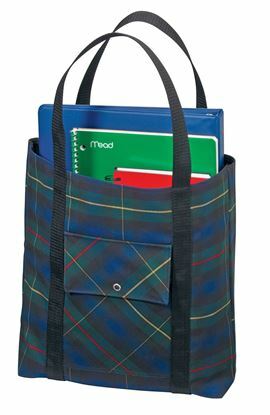 School Tote Bag with Zippered Top. 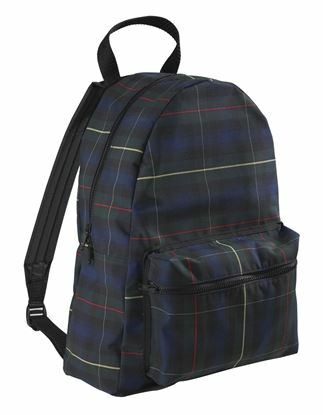 Nylon lined with handles, outside pocket, and zippered top. 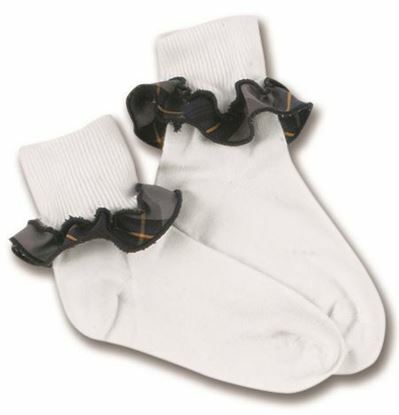 Approximately 11" tall x 13" wide x 4" deep.